On Nov. 24, 2017, the day after Thanksgiving, Bailie died from injuries sustained in a two-vehicle accident in New Fairview. 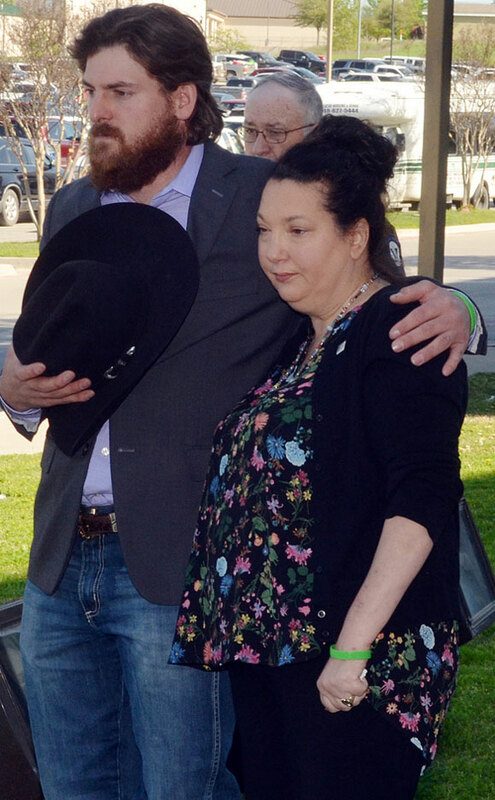 But as Aeling explained to a crowd outside Wise Health System in Decatur Tuesday, her life took a new form allowing a new beginning for others that day with the donation of her organs. “I had no idea during one of the most heartbreaking moments of my life that the concept of organ donation would shine a light during absolute darkness,” Aeling said. One of the lives Bailie was credited with saving is Lynn Guzik. The Houston area woman received Bailie’s heart. Guzik joined Aeling and other members of Bailie’s family Tuesday at the hospital’s celebration of Donate Life Month. “I’m blessed to receive Bailie’s heart,” Guzik said. “When I got news, I was probably not more than a month away from dying from heart failure. I remember the doctor coming and practically jumping in the air saying he had found the perfect match. In the fall, Guzik met Aeling and the rest of Bailie’s family. She knew immediately she wanted to reach out to her family, though they are not allowed to connect for a year. Guzik wanted to be there for Aeling Tuesday as he shared his message on the importance of organ donation even though she had just lost her mother. Aeling agreed that Guzik is now a member of the family. “Lynn gave my family a reason to smile in the heartbreak every time we think about Bailie,” Aeling said. Before Aeling spoke about his family’s experience, Wise Health System’s Director of Performance Excellence Matt Runnels explained the impact on not only the recipient’s lives, but also others from organ donation. He added that one tissue donor can impact 75 lives. He also pointed out the need for more donors. While thinking of his sister, Aeling said giving life through organ donation is the most precious gift one could offer. “The most precious gift we carry in our body is our organs,” Aeling said. “It’s more precious than anything else on this earth because you can give someone else life. There are no materials on this earth worth more than someone’s life. You are allowing someone else to continue being a wife, mother or a husband.